Scientists have not yet succeeded in producing human blood artificially, thus highlighting the importance of this body component. 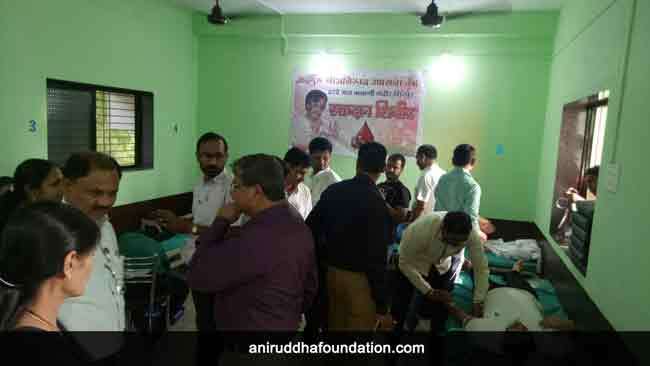 Knowing the value of this unique element, ‘Shree Aniruddha Upasana Foundation’ along with its sister organisations has been organizing timely Blood donation camps at Upasana Kendra level. One such camp was organized at Shirpur in Dhule district on 4th March, 2018. 102 blood units were collected at the time.